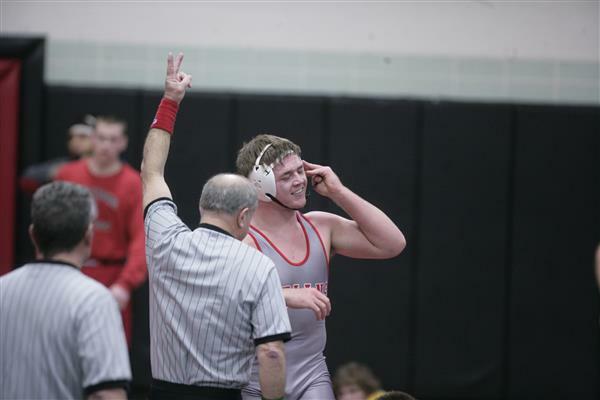 38 – Karsen Seehase (S-F) tech. fall Cale Reicks (TV), 18-2 (4:00). 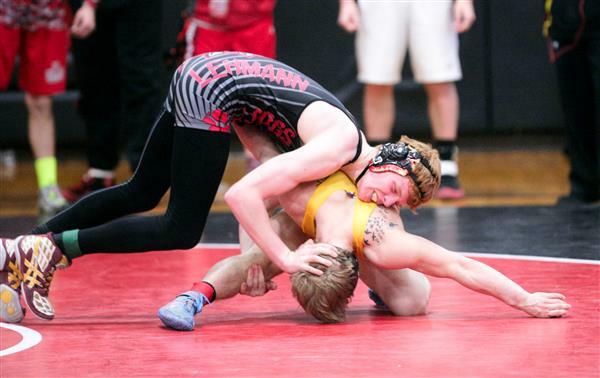 Seehase advances to district meet, Reicks has a wrestleback. Meyer with a first-period pin. So far Osage does not have a champ. 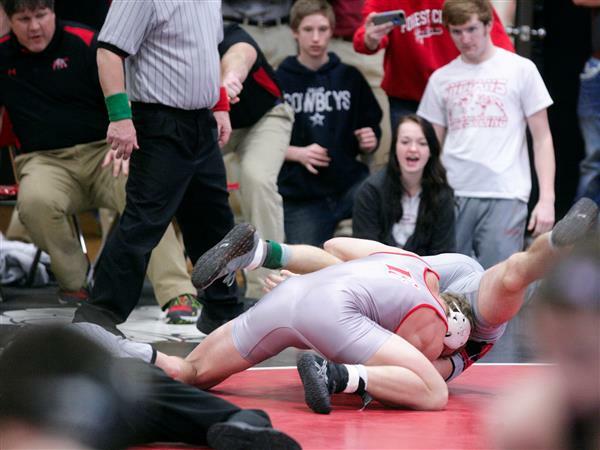 Austin Staudt (Charles City) 35-7, Jr. over Brock Jennings (Osage) 35-7, So. (Dec 7-3). 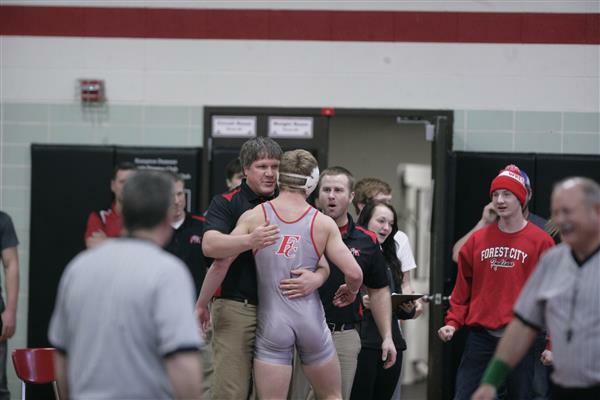 Lincoln Thompson (Aplington-Parkersburg) 31-8, Sr. over Mitchell Schaffer (Columbus Catholic) 31-19, Jr. (MD 9-1). 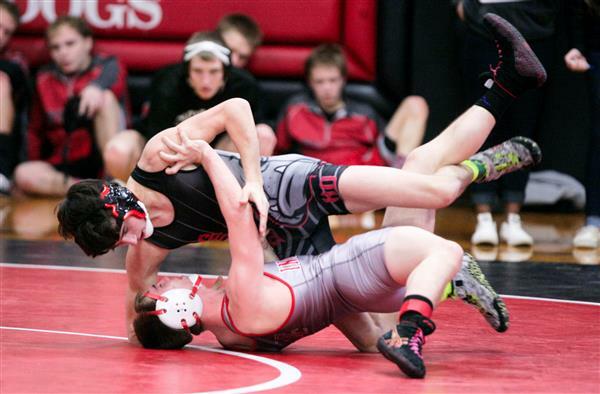 Maxwell Forsyth (Charles City) 34-10, Jr. over Brady Jennings (Osage) 39-2, Sr. (Fall 5:05). 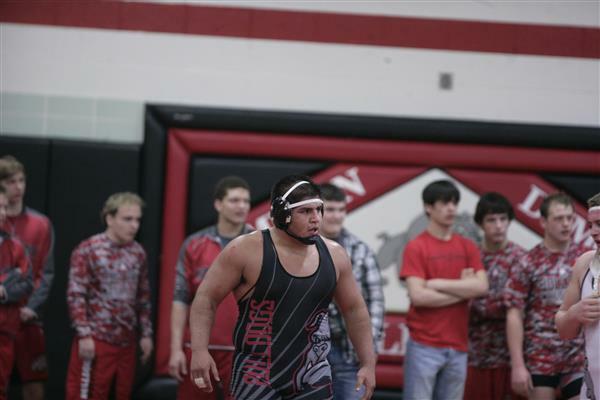 Brady Jennings (Osage) 39-2, Sr. over Ryan Gorman (New Hampton) 33-13, So. (RULE). 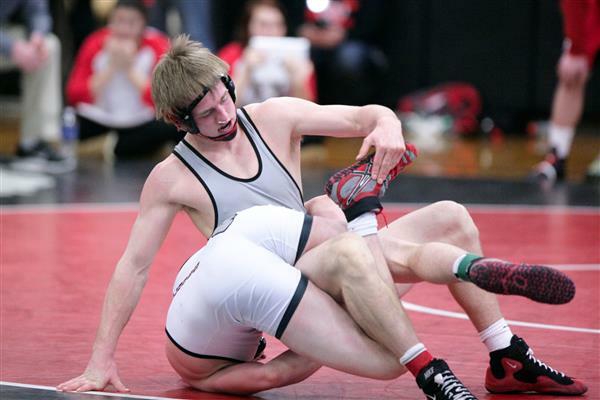 145 – Blake Meyer (S-F) pinned Houston Conway (Newman Catholic), 1:35. Both advance to the district tournament. 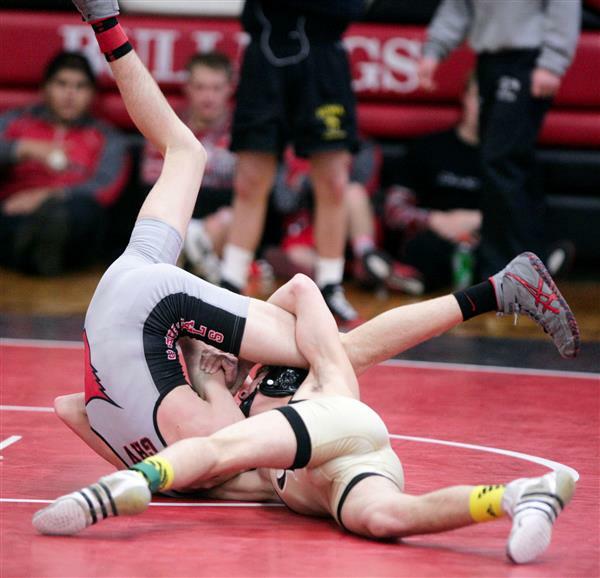 Third at 145 – Brandon Trees (NB) pinned Matthew Schilling (N-P), 1:58. Brandt leads 2-0 after one. Brandt with the fall in the second period over Janssen. Rockford's Chase Krueger fifth at 126 with a major decision. St. Ansgar's Ethan Mayer fifth at 152 with a tech. fall. St. Ansgar's Jacob Hemann fifth at 160 with a 9-0 major decision. Fire alarm going off but wrestling continues. 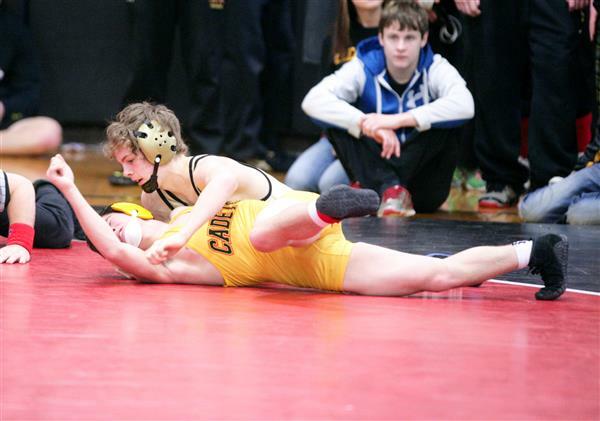 Wrestleback at 132 – Tom Reicks (TV) vs. Carter Matt (S-F). Reicks TD, 3NF, 3NF for 8-0 lead. Santee loses 3rd place match by fall and brings his season to an end. 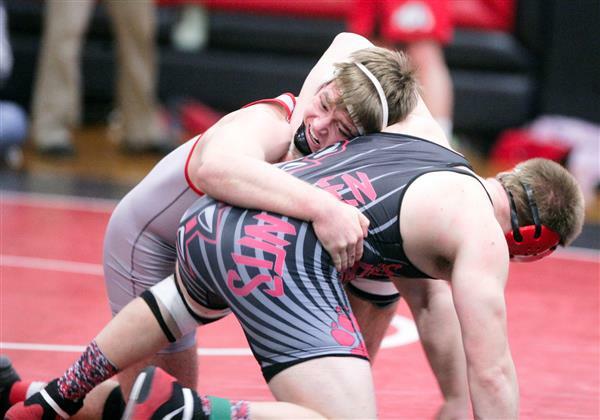 St. Ansgar's Sterling Isler fifth at 170. 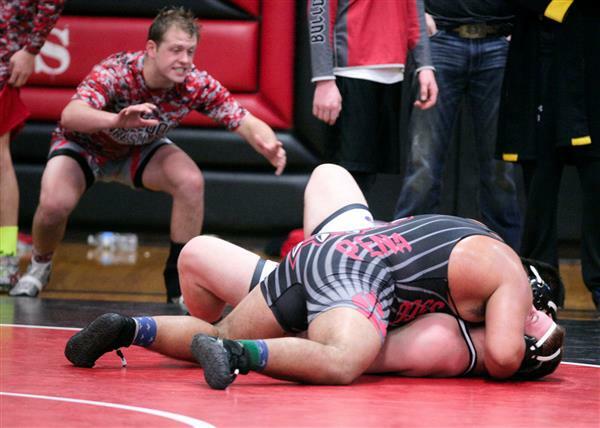 St. Ansgar's Sterling Adams fifth at 182. North Butler's Dalton Aukes fifth at 195. 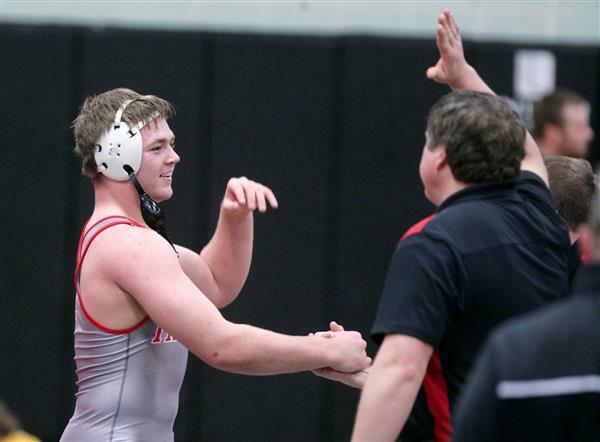 St. Ansgar's Mitchell Smith fifth at 220. Turkey Valley's Scott Kime fifth at 285. Reicks up 10-0 after two.